1. Unpack. 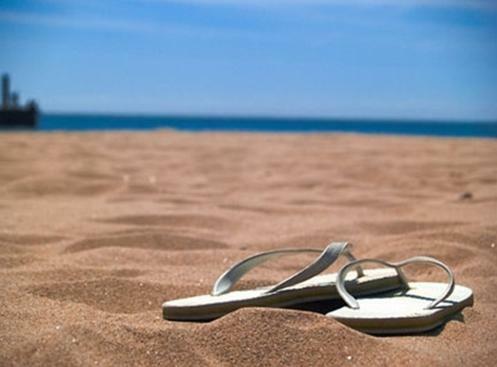 On arrival dispatch all non-residents of your home to their respective families asap. When Dreamer and I drew up, there were still a few waifs and strays at the Vicarage. Plus we still had five Indian missionaries staying. It took us a little while after all that to unload all our luggage and decompress. But you need to get all the kit out of the car/minibus. It’s not fun realising the next day that your sleeping bag is in Tipton because you didn’t unload things properly. 2. Takeaway for tea. Or something you froze before you went away. No matter how perky you think you feel on leaving camp, you will definitely be too tired to do more than pop something in the microwave or call EatWise. Consume in front of a movie. Do not attempt conversation. 3. Sleep. As much as possible. Do not arrange to play in a golf tournament early on Saturday morning *looks hard at someone resident in the Vicarage*. One of the main leaders from our venture slept 14 hours on Friday night. This seems like a suitable amount to me. NB Golf tournament didn’t happen in the end. Too tired, obvs. 4. Reminders. Note that you will have to regulate your life without the aid of a hooter (or bell, depending on your venture’s choice of noisy reminding instrument). Set alarms to remind you to come in for tea. Don’t set a morning alarm if at all possible (see point 4 above). 5. Laundry. There will be many loads. Take your time. You are unlikely to need the multi pocketed shorts in the week to come. Unless you are super keen and have a quick turnaround for another venture. Then you deserve a medal and a laundry company calling round. Up later this week: more reflections on venture life, including an analysis of best costumes for the last night and tried and tested techniques to get your dorm to be quiet and go to sleep. Or something like that. So, having analysed what sold well last year, and what appeals to 11-14 year olds on a Pathfinder Venture, I also have a list of new books to stock this year. Having bent publisher Jonathan Carswell’s ear off about this (and I guess someone’s been doing the same to Tim Thornborough), both 10ofThose and The Good Book Company have published books for teenagers this year. 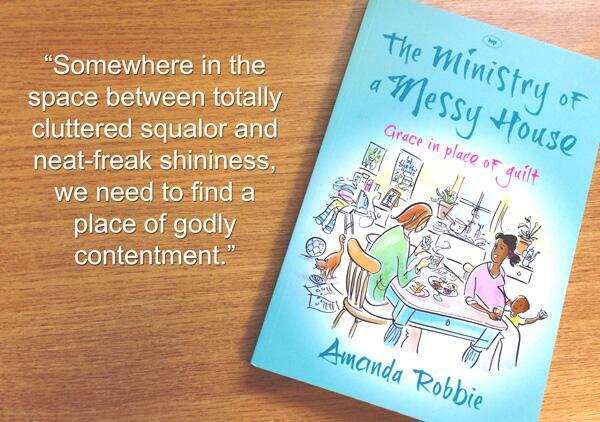 It’s great to see some new Christian books for young people published in the UK. And some of them are particularly suited to the younger end of the spectrum, where the selection seems weakest. I’ve just discovered that The Good Book Company’s camp page has lists of suggested books for camp, many of which I already knew about, but which also has some new ideas for me. You may find it helpful if planning your own bookstall! Lost by Jonty Allcock (£3-4) – A retelling of the Prodigal Son suitable for young people, challenging them to meet Jesus. Bibles – This year we’ll be stocking pricier ones (I rather like the patriotic Union Jack one) but also More Than Gold’s On Your Marks edition of Mark’s gospel, which is only 60p. No Girls Allowed/Friends Forever – Undated gendered devotionals (different from last year’s) from Scripture Union which may appeal to some. Puzzle Book – this seems like a fun way to get younger or reluctant readers to grapple with some systematic theology! Bible from Scratch by Simon Jenkins – this fun cartoon bible overview was a favourite of mine when I was a teenager and hasn’t dated – great to see it available again. YP’s Guide to Starting Secondary School – We’ll have a good few Year 6s with us on camp this year, so I thought it might be worth stocking a few of these. The Back Leg of a Goat by Penny Reeve – The Queen enjoyed reading this a while back and I’d forgotten about it when I was planning last year’s bookstall. Penny Reeve has written a couple of other books for this age group which I thought I’d try out too this year. I am also going to read through a few more of Kathy Lee’s books to work out which would be good to stock to ensure we have a good fiction range, alongside some Patricia St John and any other Christian fiction that I can find and think might work for lovers of stories. Any suggestions and ideas will be gratefully received. I will be ordering our bookstall over the next couple of weeks and will blog the final order so you can see what I’ve ended up with. I am also starting to think about advertising the bookstall. As we’ve an Olympics theme this year (suspect this will be the case for every activity for young people this summer) I am planning on promoting ‘Training Manuals’ and using the Joker and the Engineer as Fit and Flabby who train with contrasting equipment eg Nintendo DS vs Bible etc. How to Lead a Young People’s Bible Study. Or Not. In my quest for suitable books for the young people on our Pathfinder venture this summer, I picked up School Survival by Catherine and Louise House. Louise is Catherine’s school age daughter and some of this book is based on the experiences she had when she moved school. And although it’s called School Survival, it’s particularly about friendship and working that through, with a single chapter about starting in a new school. It is very suitable for the Pathfinder age group (11-14) as it covers many issues faced as young people move on to secondary school. The book is a combination of stories, quizzes, activities and bible study and is split into 14 chapters, including ones on making friends, bullying, gossip, prayer and church. It might be suitable for a Year Six primary school leaver to study over the summer holidays, or for family devotions or even as an outline for a church Pathfinder group to study over a few weeks (the chapters are uneven in size, so some could be combined). I’ll be ordering a few copies for our camp bookstall. As I mentioned the other day, I have a large pile of books that I thought might be suitable for kids on our Pathfinder camp this summer. Being a diligent sort of bookstall person, I’m aiming to read them all. 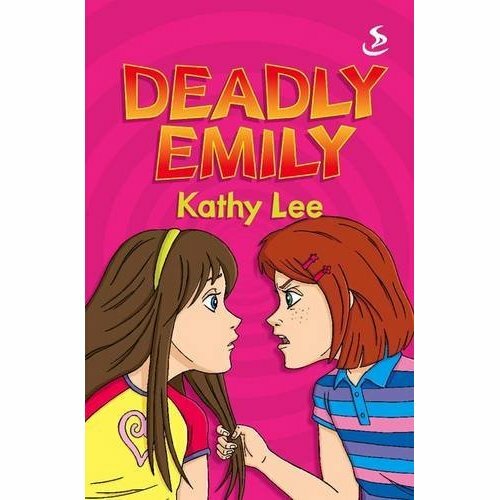 And today I whizzed through the first one, Deadly Emily by Kathy Lee. E mily Smith is a Christian. She’s still at primary school (I’m guessing Year 5 or 6) and her parents have split up so she, her brother and her mum have moved to live with her gran. Moving to a new place, coping with a new school, dealing with bullies and trusting God when everything seems to be going wrong are all covered. Kathy Lee’s story is well written with an exciting plot which would especially appeal to girls who enjoy school and adventure stories. I liked the way in which Emily’s Christian faith is portrayed realistically without becoming cheesy. Emily clings onto God’s word in tough times but doesn’t always choose the godly thing to do. She’s a normal Christian girl and I think this makes her very accessible for the readers I’m aiming at. It’s not too long (138 pages), has no illustrations and would not be too intimidating for competent primary school readers or younger secondary school pupils.